Presented by Peter McKee, Attorney, Douglas, Drachler & McKee, LLP, on November 13, 2007, at the University of Washington Medical Center. Read the report or watch the video of this SCI Forum presentation. "Social Security Lament" song sheet: blank version; completed version. Before I begin, I’d like to tell you a little about me. I started doing Social Security work as a VISTA volunteer in Macon, Georgia, in 1974. I then went to law school and during the summers I worked with legal aid organizations around the country, first in Georgia and then Yakima and Sacramento. I graduated from the University of California Davis Law School in 1978 and worked for three years in Port Angeles, Washington, with what was then Evergreen Legal Services, a statewide legal services organization. Then I went into private practice. I have been doing Social Security representation in private practice ever since. The Social Security Administration (SSA) runs two disability programs. They are frequently thought of interchangeably, but they are different and you can get lost in the whole process if you don't know which program you're dealing with. Social Security Disability Insurance, also known as SSDI, Title II or simply Social Security (and sometimes erroneously called SSI), works like a disability insurance policy. You have to work and pay into the system by paying premiums, which are taken out of your paycheck as FICA. If you never worked, then usually you will not be eligible to get any Social Security, because you didn't pay into the program. You might be eligible for some other program, but you won't be eligible for SSDI based on your earnings. In order to receive SSDI, you have to be disabled (as defined by the SSA) and you had to have worked and paid into the system five out of the ten years (or 20 out of the last 40 work quarters) prior to becoming disabled. 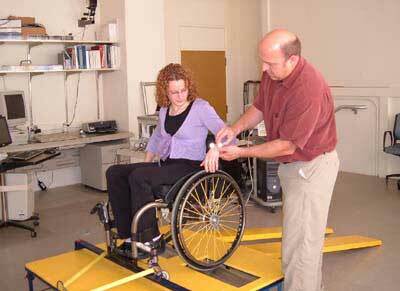 In cases like spinal cord injuries from a traumatic accident, it's very clear when you became disabled. In other cases, such as depression, for example, it may be more difficult to prove the exact time when it got so bad that it met the standard of disability. If you are found eligible for SSDI you will get two things: dollars and medical coverage. The medical insurance that you get with SSDI is called Medicare, but it doesn’t start until two years after you were eligible to receive dollars. What this means is, if you have a severe accident today and everyone agrees that you are disabled, you will not have medical coverage for two years and five months from today. I say “and five months” because there is also a five month waiting period for Social Security. From the date of your accident, Social Security pays nothing for the first five months. After five months, they will pay, but the medical coverage won't kick in until two years after you first became eligible for receiving benefits. I often wonder, why is this? All I can think is, it sure saves the government a lot of money. How much do you get on SSDI? The amount is based on a complicated formula that takes into account how long you worked, how recently you worked, how much you were paid and how recently you were paid the highest amount. You can get a good estimate of what you might receive by checking your Social Security earnings statement, which comes periodically in the mail and shows your earnings to date and the amount you would receive if you become disabled. At this time (2007), the maximum SSDI benefit amount an individual can get is $2,116. To receive that, a person would have had a very high earnings record, and their SSDI benefit would not be close to the income they were getting before they became disabled. SSDI payments will usually provide a vastly lower income than the amount you received while working. From the date you apply for SSDI you can only get benefits back one year from your date of application. For example, if you were totally disabled for five years, but you didn't get around to applying until year five, you would lose those benefits from the first four years of your disability and only receive back benefits for the year before applying. Supplemental Security Income (also known as SSI, Title XVI, “supplemental income”) is designed to supplement the income of a very low income person who is disabled. In order to be eligible, you cannot have non-exempt resources worth over $2,000 per month ($3,000 for a married couple). The value of the house you live in and your car are exempt from—not counted in—this amount. Non-exempt resources include your savings and retirement accounts, 401K, investments, and some life insurance policies with cash value. You have to be fairly poor to be eligible for SSI. You can be eligible for both SSI and SSDI if your SSDI benefit is very low due to minimal work history or earnings. The maximum SSI benefit anyone can receive is $623 per month. 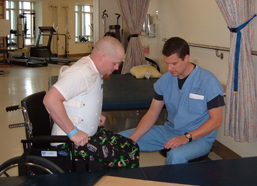 The maximum combined benefit of SSI and SSDI is $643 per month. SSI beneficiaries receive medical coverage through Medicaid, which, unlike Medicare, pays for medication and psychological counseling. If you are eligible for SSI, benefits only go back to the date of application, not the date you became disabled, so it makes sense to apply as soon as possible after becoming disabled. The Social Security Administration (SSA) defines disability as: “The inability to engage in any substantial gainful activity by reason of any medically determinable impairment which can be expected to result in death or which has lasted or can be expected to last a continuous period of not less then 12 months.” When compared to definitions used by others, such as the ADA, this definition is highly restrictive. But don't fight it. The best way to deal with Social Security is to try to understand and work with it. You’ll need to know that “the inability to engage in any substantial gainful activity” (work) does not refer to the work you used to do before you became disabled; it means any work, meaning any of the thousands of jobs listed in the Department of Labor’s Dictionary of Occupational Titles. So in theory, you’ve got to show that you can't do any of those jobs. In sum, determining whether a person is disabled for the purposes of SSA is a legal determination, based on many factors, only part of which is medical evidence, and also includes age, education and vocational factors. You must apply to receive disability benefits. The federal government does not look for people who are disabled and need benefits. Some people think they will automatically be signed up if they become disabled, but this is not true. When applying, make sure all aspects of your condition or conditions that affect your ability to work are mentioned in bluntly and graphically honest detail. It’s important to make sure Social Security knows the whole picture. You fill out all the paperwork and it goes to an office called the Disability Determination Service (DDS). The people who make the determinations are called adjudicators. You need to be thorough in supplying all the information, obtaining medical records, etc. Social Security does not have an obligation to go get the records. A woman with MS I know recommends that whatever you send to Social Security, send it certified return receipt requested and make three copies: One copy to be sent to Social Security, one copy for your records, and an extra copy to be sent when they lose the first copy. Adjudicators will look at what you send them and will make a decision without ever having met you. If you get a notification of denial, you have 60 days to appeal it. What you file is a Request for Reconsideration, which asks for a lot of the same information you already sent them the first time. Supply the information all over again, say it more clearly and thoroughly, add any new information, take three more pages. If you are denied again, you’ll receive another notice called Notice of Reconsideration Denial. From that day, you have 60 days to file for a hearing. This will probably be the first time you’ll be eyeball to eyeball with anyone who will make your decision. The hearing is before what is called an administrative law judge (ALJ). They do nothing but make decisions on cases like this and Medicare and Medicaid cases. They have a massive backlog. Currently from the time you ask for a hearing in Seattle to the time you see the judge is averaging over two years. You will be sitting with nothing going on in your case for two years. It doesn't mean you can't try to shake it loose a little but, but I tell people that in no more than five percent of the cases will you be able to speed it along. Otherwise, you are just in line. This is the stage that you really should have a lawyer experienced in these cases representing you. Nationally, applicants do better when they have attorneys representing them at hearings. The judge will ask you questions, and there may be a vocational expert or a medical expert present. The hearings last for about an hour and everything that is said there is completely confidential. Usually the judge will not announce his or her decision at the hearing, but will review the case after the hearing and issue a written decision within a month or two. If you lose at the hearing level, you have 60 days to appeal and request a Review of a Hearing Decision, which consists of a paper review of the evidence by the Appeals Council in Baltimore, MD. This can take two years, and if it is denied, you have 60 days to file an appeal in the federal court. I've had cases in federal court. Some cases go all the way up to the Supreme Court. Payment to lawyers in SSA disability cases is tightly regulated by federal law. We lawyers can't charge unless the fee is approved in writing by the Social Security Administration. Typically a lawyer will charge 25% of any back award on a contingency, and we don't get paid unless we win. If we lose, the client gets zero, and I get 25% of zero. So I'm gambling. It does mean that I look closely at a case. If I think there a reasonable chance that a person could win, I'll take the case. That is a quick summary of this very complex world. If you apply, it is important to persist. Social Security is a slow, bureaucratic maze, but don’t let them deny your benefits because they wore you down. Worked and paid into the Social Security system for five out of the last ten years. Eligible for little or no Social Security. Depends on your past earnings. * As defined by the Social Security Administration (SSA). 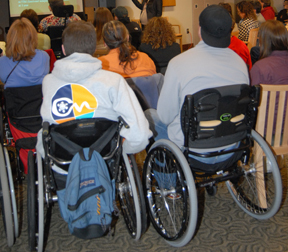 See the SSA Web site at http://www.ssa.gov/disability/.